Whether your business is big or small, maximizing branding opportunities is a key driver for sustained growth. 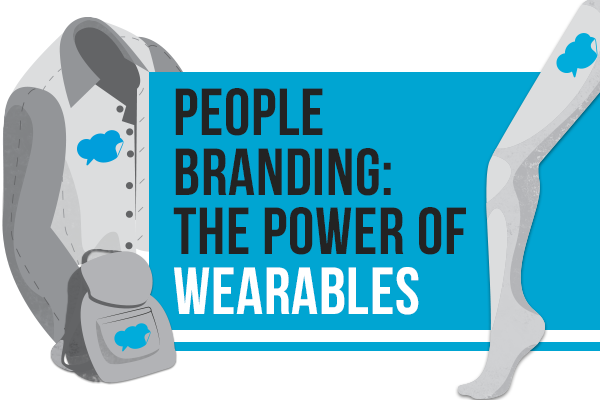 Wearables are often overlooked, but can be an incredibly influential and important marketing tool. Whether it’s employees at your store wearing t-shirts with custom iron-ons, or your customers wearing temporary tattoos of your brand at an outdoor music festival, “people branding” for employees and customers alike is a fun, easy, and affordable way to get your brand some extra attention for minimal investment. Employee uniforms don’t have to be drab or uninspired. 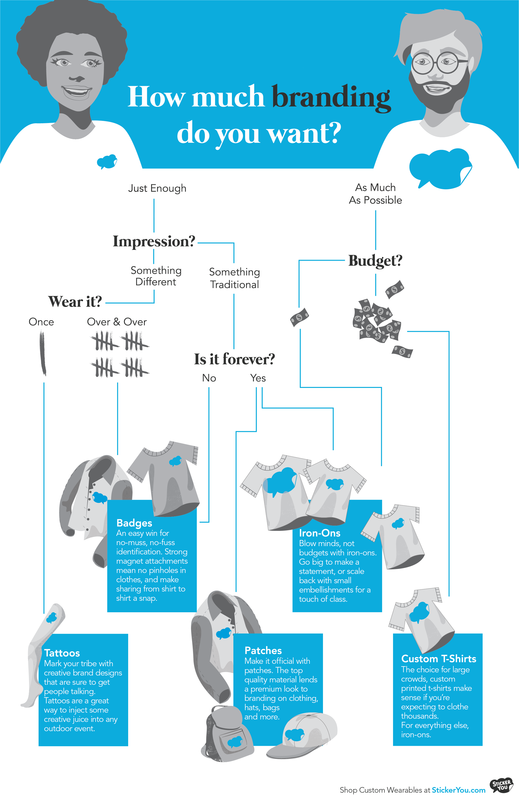 Make work clothes something employees want to wear both in and out of the store with custom, high-quality iron-ons. Whether it’s your logo, brand-specific artwork, or another unique visual, iron-ons are a simple way to maximize your marketing budget and get your brand in front of as many eyes as possible. Use larger iron-ons for a big visual impact, or smaller ones for a more understated look. Consider these your personal canvas to iron or sew onto a range of fabric surfaces, including hats, shirts, aprons, jackets or even luggage. Patches are functional, and can easily identify employees in busy stores to whom customers can direct questions and ask about services. Creative patches can also make an impression that customers won’t soon forget. Patches are durable, hold up in the washing machine, and can look official, making them perfect for uniforms. The less permanent cousin of the patch, badges are what you want for special occasions and events. 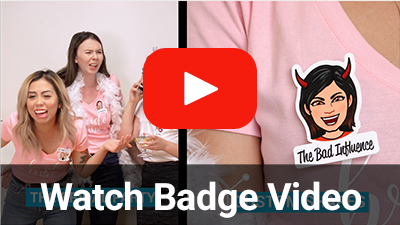 Magnet-backed badges don’t leave marks on clothing, making them easy to share and a great alternative to button pins or name tags. Get creative with designs and use them for a festive touch during the holidays, as identifiers for in-store events or as giveaways to customers to spread your brand message both in and out of your store. Think of it as wearable artwork. Custom temporary tattoos are a fun way to engage your customers with an unexpected visual. 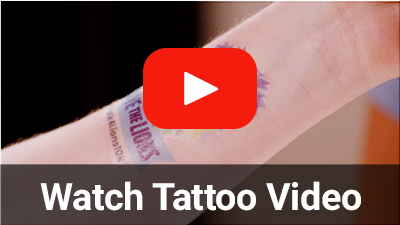 From your logo on a brand ambassador’s forearm to customers wearing your brand tatts at an outdoor festival, temporary tattoos spark interest, start conversations and add a dose of creativity to any event. Now that you’ve got the lowdown on what we’re offering, you can decide which will work best for the event you’re planning. Keep in mind that the payoff for branding at events where people are engaged and interested in what’s going on can be huge. According to a recent study by live music event company Live Nation, 78 percent of those surveyed said live events are highly emotional experiences, and when people are engaging in this kind of experience, they are 67 percent more receptive to new ideas, and 66 percent more likely to make a purchase. So, choosing the right wearable for the right situation definitely requires some thought, but you knew that, right? You know what you need, now it’s time to put your wearable plan into action. 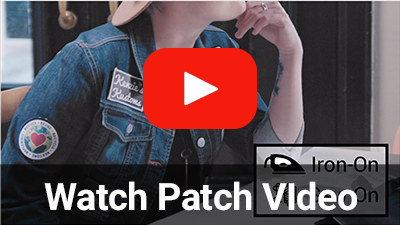 Get busy designing your own custom temporary tattoos, badges, patches or iron-ons, and build a brand presence at your store or special event that will get you noticed and get people talking!